In order to cater the diversified and rising requirements of our customers, we are affianced in bringing forth a broad compilation of Gift Packaging Solutions to our patrons. 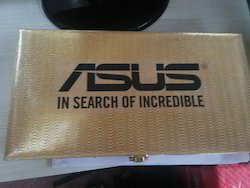 We are looking Query for Mumbai Only. Regarded as an eminent business enterprise, we are actively betrothed in presenting a highly effective Packaging Consultancy Services. These are rendered by our crew after precisely comprehending the budgetary needs of our customers, execution plans and pricing structure. More to this, these could be acquired form us in a number of provisions to select from. We are providing Chips Packaging Consultancy to our clients. In this we pack all the type of chips in best quality packaging materials for long lasting strength and durability. Our offered services are rendered by qualified professionals for packaging of various items as per the need of the clients. engaged in providing packing & unpacking services. We are engaged in providing our customers with Pouch/Sachet packaging services that are widely demanded by various manufacturing units. Our pouches/sachets are manufactured using high grade raw material, which assures complete safety of packed product. In addition to this, our clients’ demand these services for their reliability, cost-effectiveness, flexibility and timely execution. 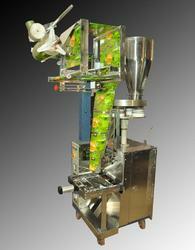 We are providing the Pouch Packaging Services to our customers. - Shreeji Imagine Services offers a wide variety of flexible packaging or pouch packaging services, serving many industries including food as well as non-food. In order to avoid the damage which occur when mangoes are transported, we pack them in a proper manner. The material used for packing are carton boxes, bamboo boxes, plastic containers with a capacity of 10-20 kg. We have different packing for short and longer distance transportations.